Would you like to tour the High School? 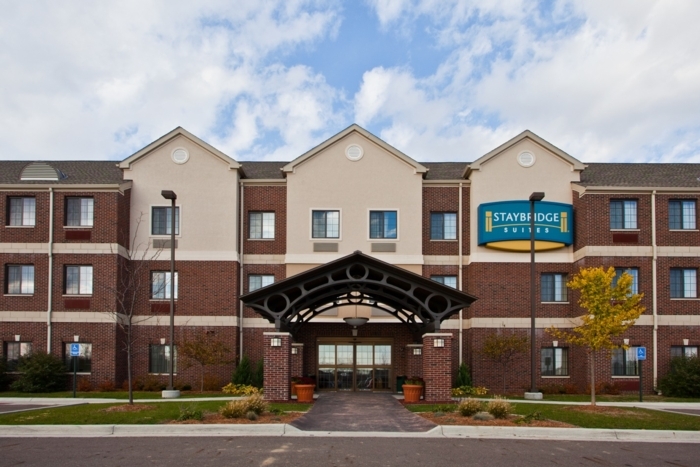 Holiday Inn Express 517-349-8700 discounted rate of $129.00 at Okemos and Jolly (SE corner) 2209 University Park Dr.
Staybridge Suites 517-347-3044 discounted rate of $129.00 at Okemos and Jolly (NW corner) 3553 Meridian Crossings Dr.
Alicia Goodman, Director of Sales Alicia.Goodman@AHM-Hotels.com. - Class of '65 Oct 2015, chartered a School Bus with driver from 11:00am to 11:00pm. The bus picked up people at the hotels, toured the old neighborhoods, drove to lunch, drove to the school tours, drove to an open house and finally to and from the Excursion Princess Dinner/dance. The bus shuttled between all events, all day. We partied all day and no driving! Same for Class of '67 in June 2017. Banquets or "Meet & Greet"
Neighborhood Pub offering 24 rotating draught beers, scratch kitchen & craft cocktails. Private banquet room avaliable. Great for Okemos Class Reunions, birthday parties & business meetings. Banquet room seats up to 120. 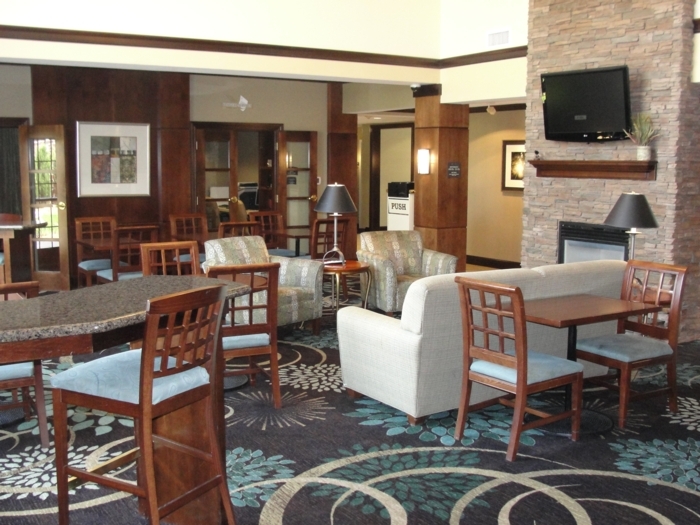 Room fee waived with purchase of food & drinks. For reservation or more information on banquet room contact Henry by phone: 517-449-2580 or email: hnk7919@gmail.com. 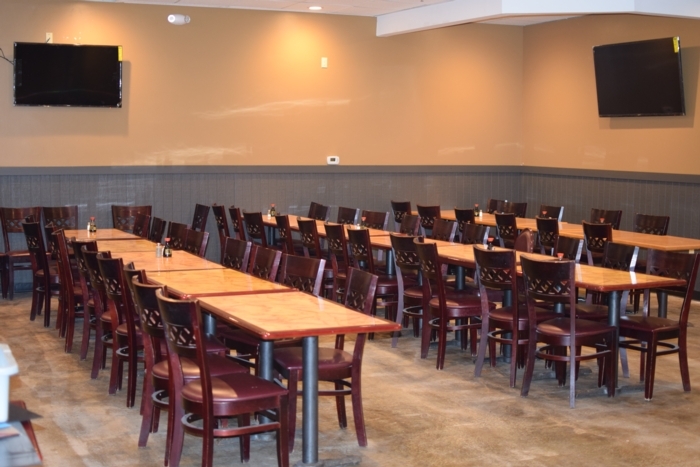 - $9.50 for any meal prepared fresh while you tour the cafeteria/dining room. Faboulous food prepared by chef's.